"Champion" radish is an excellent variety for cooler weather. 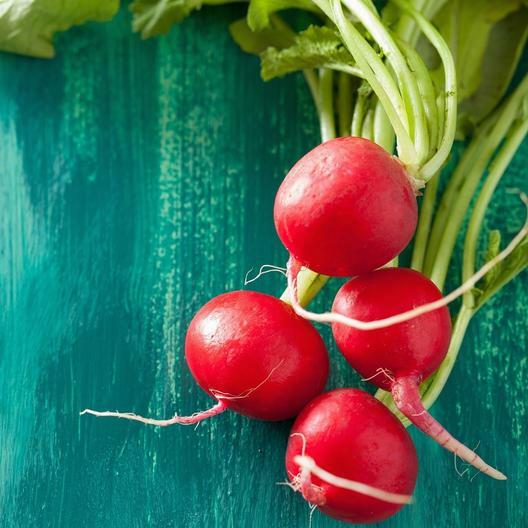 Crisp round scarlet radishes with mild white flesh, these are perfect for salads and garnish. Heavy yielder, easy to grow and extra hardy, what is there not to like?